Taylor's wedding was a very special one for the Andrea Bounds Hair & Makeup Team to be apart of! Why might you ask? Taylor's mom is wedding planner extraordinaire Alison Sappington from Alison To The Altar! Not to mention a close friend of mine. 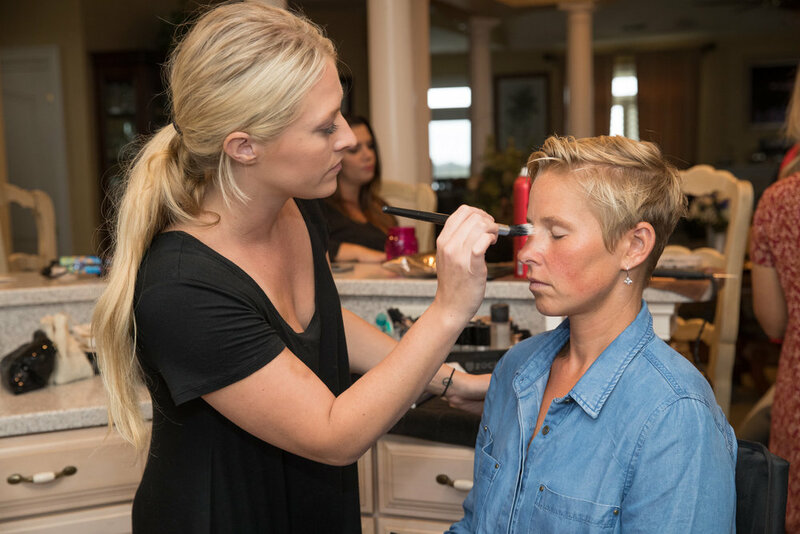 We loved everything about getting Taylor and her family ready! We arrived on location to the Sappington house to get everyone ready, where love and excitement filled the air. Earlier in the year, I did Taylor's makeup for her engagement photos. We decided to keep a more natural look for both her engagement pictures and her wedding day. Our team loves being apart of the start of the wedding process from engagement photo's to wedding day, and any event that follows! Thank you so much, Taylor, for letting us be a part of your fabulous wedding day!